Into the 2nd month of my freshman year here at Stanford I still feel like I am living a dream. I spent much of last year building up expectations of what The Farm would be like, and it has exceeded every one of them. From tournaments, practice, and workouts to classes and dorm life, it has been great! Coming off our recent tournament at Isleworth I am beginning to understand what it means to be a part of a school and a program that is so special. While down in Florida we had the privilege of spending time with one of Stanford’s most famous alums, Tiger Woods. Growing up idolizing him, it was incomprehensible to me that I would ever get to meet and spend time with one of best athletes of our lifetime. After the second round, Tiger invited us over to his house for dinner. After a delicious meal of ribs we all sat in the living room, and Coach Ray opened discussion by asking, “Freshmen, you got your questions ready?” While Cameron and I both sat staring at each other hoping the other would think of something, the discussion began with the upperclassmen eventually helping us out. Tiger reminded us how much we are in control of our success in practice and in tournament play. Things like precision, attitude, and shot choice are intangibles that mean everything. What struck me most was the way in which Tiger would do anything to give himself confidence to pull off a shot. I took away more from Tiger’s responses in those two hours than any amount of practice or hours of lessons. Since my arrival here, Coach Ray has spoken a lot about the history and the future of Stanford Golf. 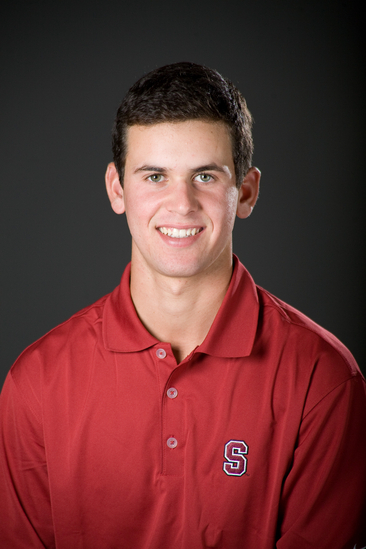 Our first team meeting began with Coach saying: Stanford Golf is a fraternity that will stay with you forever. In Isleworth and with Tiger this rang so true. 15 years removed from being teammates at Stanford, Coach Ray and Tiger sounded like they were back in a team van. Joking about their teammates, freshman roommates, Coach Goodwin, and pranks amongst the team; it could have been any of our team’s conversations now. It was something that I would have never imagined before arriving here; Tiger Woods, after 14 majors, millions of dollars, and 69 professional tournament wins, still couldn’t stop talking about his time at Stanford. The video below is Tiger hitting on the range with the team watching. In the beginning fraction of my time here I can already see and look forward to the bond that I will always have with Stanford and more specifically with Stanford Golf. Looking forward to our event next week at Cordevalle and ending the Fall season on a winning note! Thanks for the Support and Go Cardinal!